This quote struck me for two reasons. 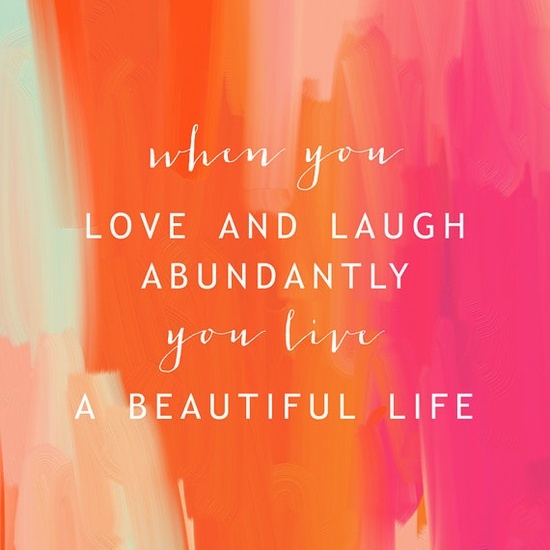 There's such beauty and impact in this simple reminder to love and laugh daily. I also love the color and design of this print by artist Patricia Vargas. I recently stumbled upon her through Pinterest and her art is amazing! Check out her website, Parima Studio, when you have a chance. I'm certain she'll inspire you as well!